It seems like almost every other day news comes out about another major digital security breach. The demand for security was already pressing when it was just personal data being compromised, but as more and more people shift their finances over to cryptocurrency, this need becomes even more urgent. Fintech startup Hydrogen is attempting to fill this gap and provide an essential and much needed component of the overall crypto ecosystem. In short, in the same way that people who want to use computers go to Microsoft for Windows, or who want to use smartphones go to Google for Android, Hydrogen hopes that financial firms, developers, and startups will come to Hydrogen to use the blockchain. Hydrogen’s team has been brushing shoulders with major figures in the finance industry for a while. After studying finance, Hydrogen founders, brothers Michael and Matthew Kane, went on to work at Bridgewater Associates and Spruce Private Investors, most likely involved in managing the accounts of high net worth individuals. They went on to found Hedgeable, an investment management platform that is a bit more inclusive, with the minimum account size set at $1 USD. Hedgeable was included on the keynote lunch panel at Citi’s Asset Management Conference along with executives from Nasdaq, Fidelity, and Ameritrade, among others. After their success with Hedgeable, the Kane brothers went on to found Hydrogen, which won the Grand Prize at the Luxembourg Fintech Awards last month. It looks like the Hydrogen team has put their contacts in the financial world to good use. Hydrogen has landed partnerships with TD Bank, Principal Investment Group, and CI Investments. Combined, these three firms alone manage over $2 trillion in assets — and Hydrogen is just getting started. Hydrogen’s app was officially released on July 19, 2018. Hydrogen has named this phase in their grand plan “Raindrop.” Raindrop uses the Ethereum blockchain to provide decentralized 2-factor identity verification (2FA). Hydrogen is offering this service as a layer of 3rd party security for apps, websites, and companies, similar to Authy or Google Authenticator. Raindrop is the 1st phase in Hydrogen’s plan to create a comprehensive tool set for fintech applications on the Ethereum blockchain. Decentralized Blockchain-Based security: Hydrogen’s security protocol uses a verification process based on Ethereum smart contracts. Protection Against Phishing: Phishing is one of the weak points of current 2FA applications. The Hydro App’s answer to this is requiring users to enter a code generated by the website or app that is being accessed. Most 2FA apps only require entering a passcode generated on your device, which can be stolen by attackers who are then able to access your account before you are. Seed-Based Account Regeneration: Anyone who uses 2FA and has lost their phone has probably been through the agonizing process of getting back into their accounts. Like many cryptocurrency wallets, Hydrogen’s 2FA offers the possibility of using a seed phrase to recover the account in the event of a lost or damaged device. Developer Friendly API: Hydrogen aims to streamline the integration of their services via a simplified API. 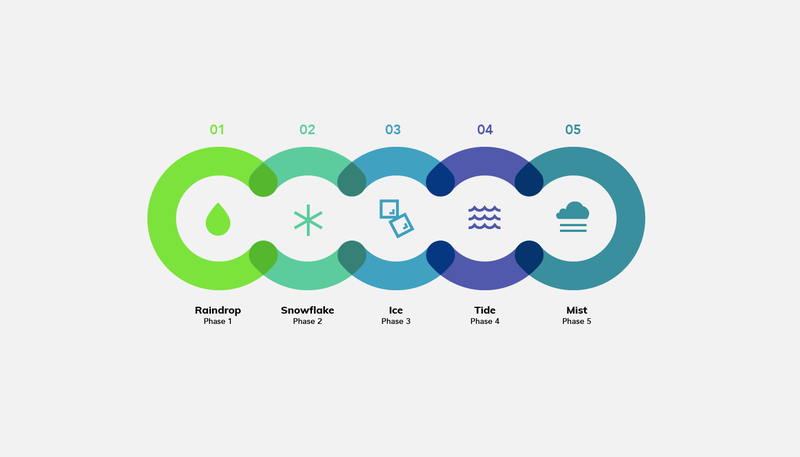 After the successful implementation of Raindrop, Hydrogen is planning to move to the 2nd phase called “Snowflake.” Snowflake will add identity management and KYC support, while “Ice” will then integrate the ability to view, authenticate, and sign documents. The “Tide” phase will add a multicurrency wallet and transaction functionality, and finally “Mist” will add AI, machine learning, and data management capabilities. All of these services will be available via APIs, and are intended to facilitate integration of the Ethereum blockchain’s security into real world applications. In order to utilize Raindrop’s 2FA protocol, small and medium enterprises will be required to hold a certain number of Hydrogen tokens (HYDRO). As the Hydrogen platform expands, the tokens will be required for an increasing number of use cases. This means that as Hydrogen becomes more widely used, the value of the token will also rise. This is not an unlikely scenario — there are dozens of teams working on dapps right now that will absolutely need to integrate 2FA solutions. It is only logical that teams working on decentralized technology would prefer that their dapp be secured by decentralized 2FA. Focusing on 2FA initially is a good way for Hydrogen to get their foot in the door with a number of projects, because they are bringing real tangible benefits with a basic and much needed service. Once a team is comfortable with using the Hydrogen 2FA API, they’ll also be much more likely to opt for Hydrogen’s future offerings. Hydrogen’s team deserves respect for their willingness to go into direct competition with the likes of Google– and it appears that their first offering is definitely an improvement over Google Authenticator. However, decentralization also has its drawbacks. Since Hydrogen is based on Ethereum, the long-term success of the project may depend to some extent on the success of Ethereum’s planned scaling solutions. Of course, the business model itself is not totally dependent on Ethereum, and there are other solutions that could they could theoretically deploy if Ethereum’s scaling plans don’t proceed as planned. In any case, they are aiming to join the elite internet services who are used by billions of users, and there is a realistic possibility that they could succeed in these plans. The release of a functional app in a market where revolutionary claims far outnumber functional products is a big deal. The app is bound to be a major factor in boosting awareness of Hydrogen — talk is cheap, and with the release of the Hydrogen app, there is real proof that Hydrogen is more than just a white paper. Rather than heavy focus on marketing, it looks like Hydrogen’s public relations strategy relies more on letting the product speak for itself. It will be interesting to see what kind of feedback comes out as more and more applications integrate Hydrogen 2FA in the coming weeks and months. The HYDRO token is currently trading on Bitmart, Coinex, and Mercatox, and was listed on Bitforex on July 25, 2018. The Hydro: Security & Identity app is free. You can download iOS and Android versions today. 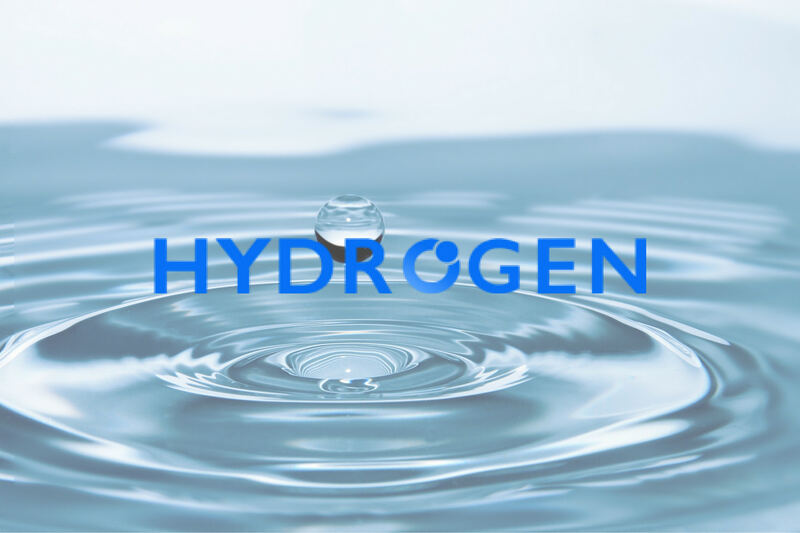 To learn more about Hydrogen, visit their website. Related: Two-Factor Authentication (2FA) is Important to Protect Your Cryptocurrency Investments. Here’s Why. Hydro is my favorite coin. I think it will have a big role in the internet’s future.